Mermaid Ulla Riber loves the King of the Sea and just adores his six daughters, but the king is not as he seems. His madness causes him to use his trident to turn Ulla into. half-mermaid, half-octopus type creature. Will Ulla be able to overcome this strife and find a way to love herself despite her broken heart? Or will the king and his madness lead to the destruction of life for all merfolk when he declares war on the humans? Find out in this twisted retelling of The Little Mermaid. 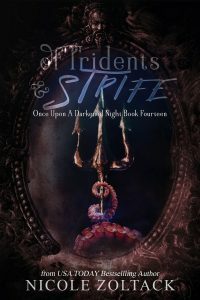 Of Tridents and Strife includes the short story The Cost of Sorcery.